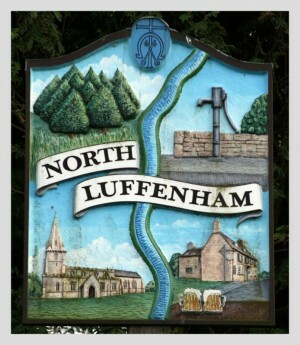 The latest news relating to the development of the Village Plan for North Luffenham from the Parish Council. The Village Plan survey offered a prize for a meal for two at The Fox and everybody who did the survey was invited to enter a telephone number. 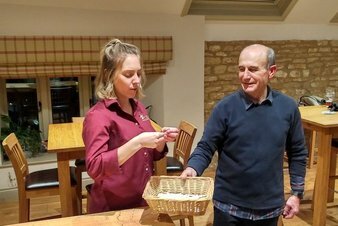 The draw took place at The Fox and the winning number was drawn by one of the bar staff. 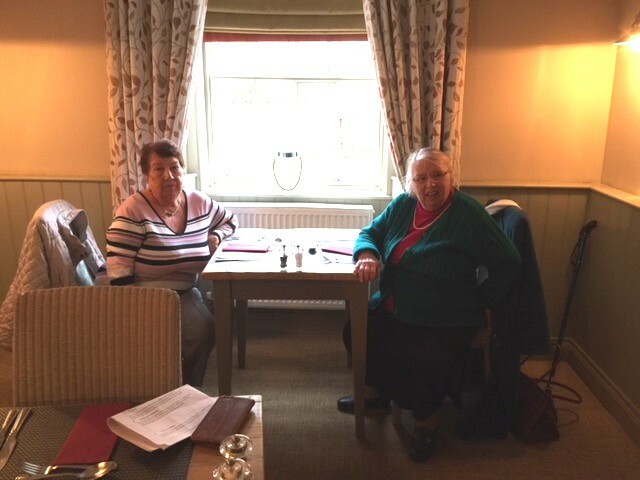 Myra was the lucky winner and decided to have lunch with a friend. They had an enjoyable meal. (The Steering Group for the Village Survey are grateful to Jason Allen, landlord of The Fox, for providing the prize). A reminder that there will be a presentation of the results of the Village Survey at 7 pm on Thursday 25th January in the Community Centre. This entry was posted in Village Plan on January 16, 2018 by Tim Smith. The Village Survey has been written up and if you look to right you will see a link that takes you to the report and perhaps something to read over the holiday period. There will be a presentation in the Community Centre of the survey on Thursday 25th January 2018 at 7pm. And finally: The Prize Draw Entry: this is for the two course meal and a bottle of house wine at The Fox: the draw will take place at The Fox on 21st December at 7pm in the upstairs room. This entry was posted in Village Plan on December 18, 2017 by Tim Smith. This entry was posted in Village Plan on December 18, 2017 by Pete Burrows. The prize draw for the Village Plan Survey will take place on Thursday 21st December 7pm in the upstairs room at The Fox. There will be a random selection of a telephone number from all those entered in the survey. The prize is for a two course meal for two with a bottle of house wine at The Fox and the winner will be contacted on that phone number. This entry was posted in Village Plan on December 17, 2017 by Tim Smith. The Village Plan Survey has now been has now been concluded and the Steering Group would like to thank all those who took part in the survey. There has been a very good response and significantly represents the views of the village. There were many comments and the essence of these will be incorporated into the final document. All of the answers have been entered onto a database and will be analysed and the final document produced over the next few weeks. This will then be distributed to each household as well as being available on the website. The prize draw for the two course meal for two at The Fox will take place at The Fox and this will take place in September (date will be advised on website). This entry was posted in Village Plan on July 10, 2017 by Tim Smith. Closing Soon: Village Plan Questionnaire. 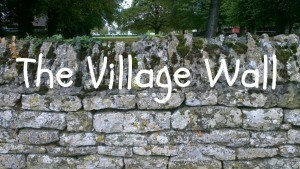 A big thank to all those villagers who have completed the Village Plan Questionnaire so far. The response rate for the adult population is about 50% and for a self completed questionnaire this is an excellent result. All areas of North Luffenham Parish have been well represented and will give a good overall opinion as to the views of the Parish. The online questionnaire can still be completed but will close on midnight Sunday 11th June. A short summary will be posted online in the near future and in due course a full analysis and written report will be delivered to each household as well as being on the village website. This entry was posted in Village Plan on June 6, 2017 by Tim Smith. Over the next two weeks the Village Plan Questionnaire will be delivered to each house hold and the Parish Council would be grateful if each adult in the household could complete the questionnaire, this will only take about 15 minutes. There is a much shortened questionnaire for 11 – 15 year olds as the Parish Council would also very much appreciate their opinions. One to two weeks following delivery, will be collected, or you can deliver them personally to the ‘post box’ in The Fox. This entry was posted in Village Plan on April 11, 2017 by Tim Smith. In response to the post below a number of volunteers have come forward but it would be helpful to have some more. This entry was posted in Village Plan on April 4, 2017 by Tim Smith. The Village Plan Steering Group are seeking help in the delivery and collection of the Questionnaires that will inform the new Village Plan. It is hoped that we can find up to 20 volunteers willing to assist in this important role. Questionnaires will be delivered to every household in the village during the week 14 – 21 Apr and collected two weeks later. If you can spare an hour or so to assist please contact Tim Smith – tim.smith2818@btinternet.com or Tel: 01780 360083 or Paul Cummings – pbgcummings@gmail.com or Tel: 01780 720124. Many thanks. This entry was posted in Village Plan on March 22, 2017 by Tim Smith. The Village Plan Open Meeting took place at 7.30pm on Monday 7th November 2016. The presentation referred to during the meeting is available below. This entry was posted in Village Plan on November 8, 2016 by Angela Ashpole. This entry was posted in Village Plan on October 18, 2016 by Paul Cummings. The Parish Council has identified that to enable it to make strategic decisions about the development of the village and to manage its’ day to day business and meet the aspirations of villagers, it is important that a Village Plan be developed. The type of issues to be considered will include: environment; planning / development; transport and roads; recreational facilities; health; community issues; education; community safety; volunteers; senior citizens; youth / youth activities and any other issues considered relevant. We live in a beautiful place and our plan is likely to concentrate on how we can protect its character, influence any future proposed development and where appropriate enhance its facilities. We believe that our Village is a great place to live and would benefit from having a plan that identifies those things that must be protected or enhanced and those things that need to be improved for the greater good of the whole community. Over time we anticipate the Village Plan evolving into a Neighbourhood Plan, which includes some level statutory protection in terms of planning and development. Researching, developing and writing such a plan is a major piece of work, that is likely to take a year or more to achieve. It needs to be undertaken by enthusiastic volunteers within the community and is not the sole responsibility of the Parish Council. We intend to enable everyone in the village to have a say and will actively encourage participation by all. We will need help in project management; the development of a questionnaire; analysis of findings and in conducting surveys and focus groups. This entry was posted in Village Plan on July 4, 2016 by Paul Cummings.